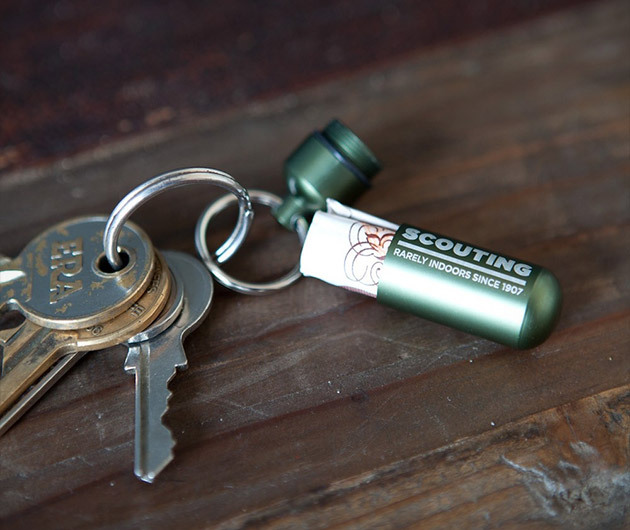 A cool little key-ring with a purpose. The Cash Capsule is ideal for the man on the go, especially if he has no pockets. Only a couple of centimeters long, it'll snuggly fit a note of any currency or denomination into its housing meaning that he'll never be able to use the "I forgot my wallet" excuse again.